Fishing Lab isn’t a restaurant in the usual meaning of the word. 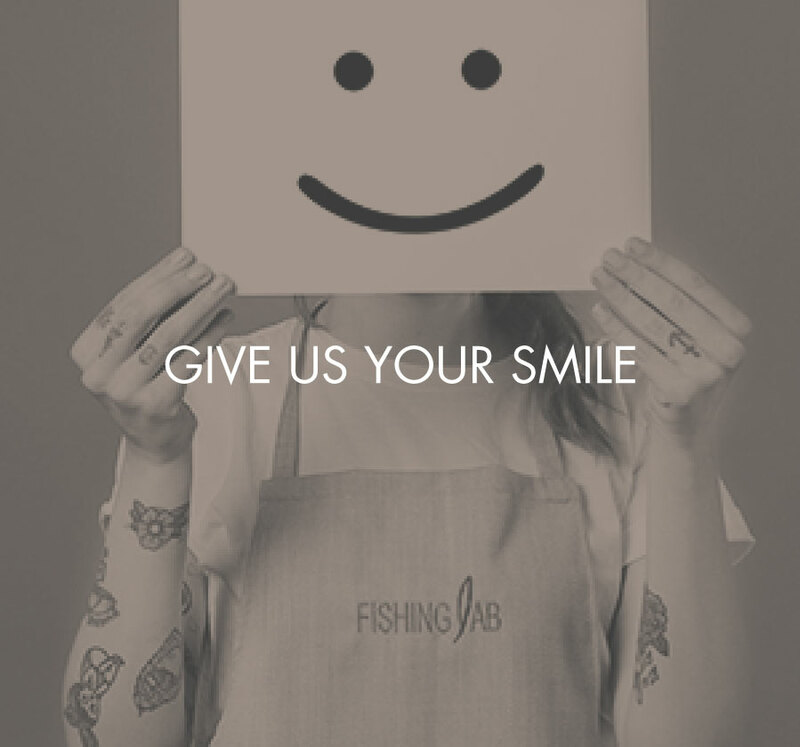 Fishing Lab is an innovative restaurant concept based on an original unconventional raw and cooked fish formula. We have selected the most distinctive features of traditional cuisines and reworked them into a new, one-of-a-kind configuration. Inside the building, relaxation and a home-from-home feel is the order of the day. The nautical atmosphere is tangible, the hospitality genuine. From a taste of fish to a glass of wine, always ready to hand, clients feel at home. Just like in a boat with the rise and fall of the sea. The chefs at the helm guide the visible kitchens. Our waiters and waitresses captain the dining room. Fish, as if it has just been pulled out of the sea, is the real star of the show. Fishing Lab leaves clients free to make up their menus, choosing inventive combinations, sitting at a table or standing up. Our aim is to offer absolutely top quality raw materials and ingredients at the right price, guiding clients in the choice that suits them best at all times. WHO IS FISHING LAB FOR? Fishing Lab’s clients cannot be categorised in terms of classic age or social status considerations. Our target cuts across all these, encompassing people with precise consumer attitudes and preferences. The ideal client? A person who loves fry ups and street food, savours the myriad aromas of raw fish, tries out the new wood oven specialities. A person who is happy to take a ten minute break for a light and tasty pre-dinner snack with a glass of wine standing up with friends, a person who is happy to be tempted by fresh fish on display, choosing his or her dinner personally. From a pre-dinner drink for the two of you to a group dinner, Fishing Lab can always offer you the right solution for an intimate, home-from-home atmosphere. Simplicity, informality and professionalism create a relationship of trust with clients and put them at their ease right away. Our service quality-cost ratio is always a positive one and our clients are always pleasantly surprised by our value for money. Clearly displayed prices mean that guests can always gauge the cost of their meals in detail: no hidden costs, no needless expenses. An informal environment gives everyone the chance to express themselves freely: no labels. Because at Fishing Lab you can dress as you want. Everyone here follows a shared principle: using their skills to give clients the right advice in cost-saving and well-being terms.